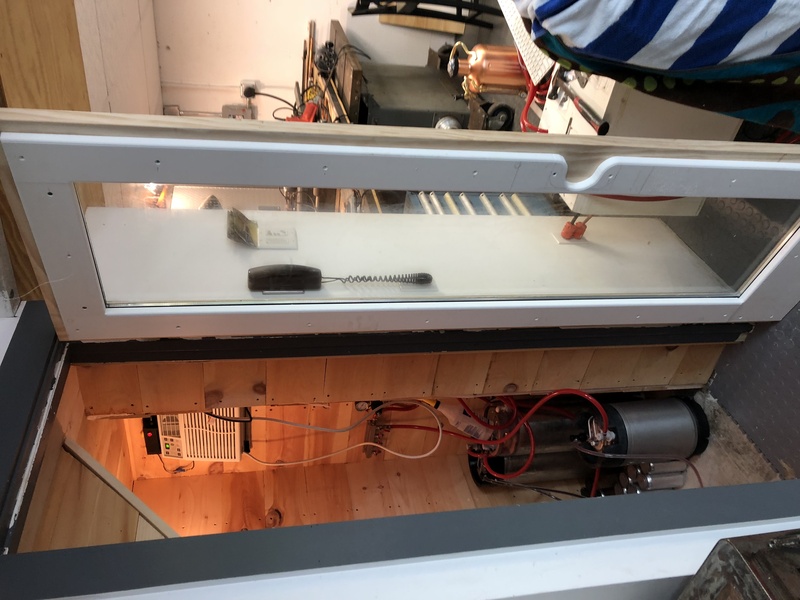 My walk-in fridge has been a work in progress as well a series of trial and error. 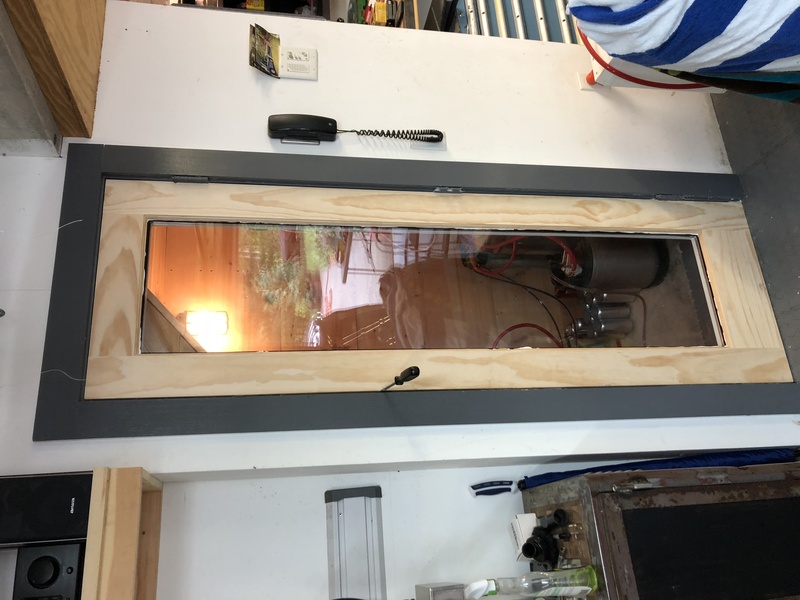 When I built it I used an simple hollow core door. Certainly not the right thing for a fridge. 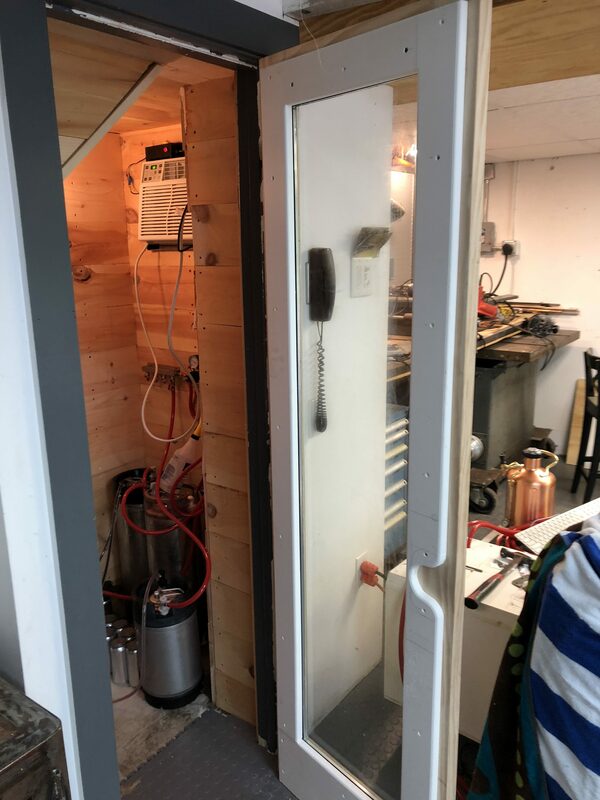 But I found it very hard to find a 24″ wide door that was insulated. Hence I decided to build a new door. 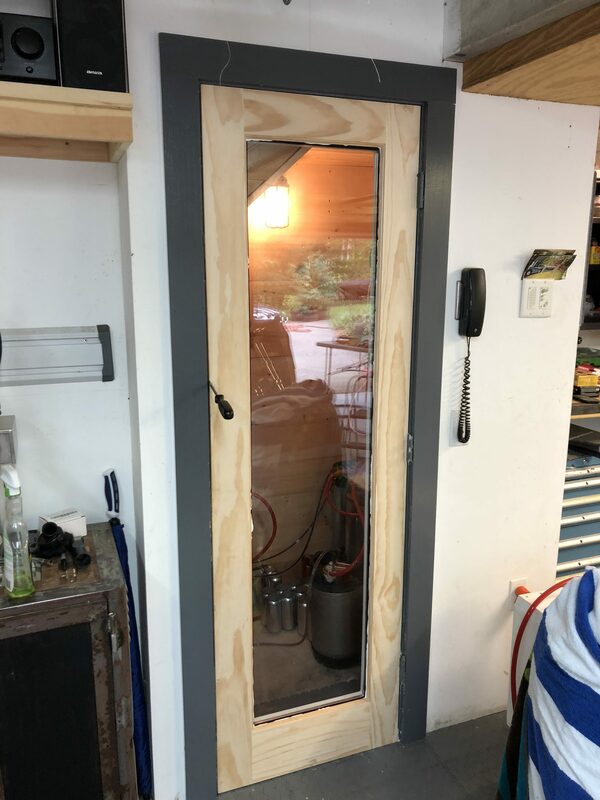 I purchased a standard 6 panel wood door and cut the interior out and replaced it with an insulated glass panel I was able to customize and purchase online. 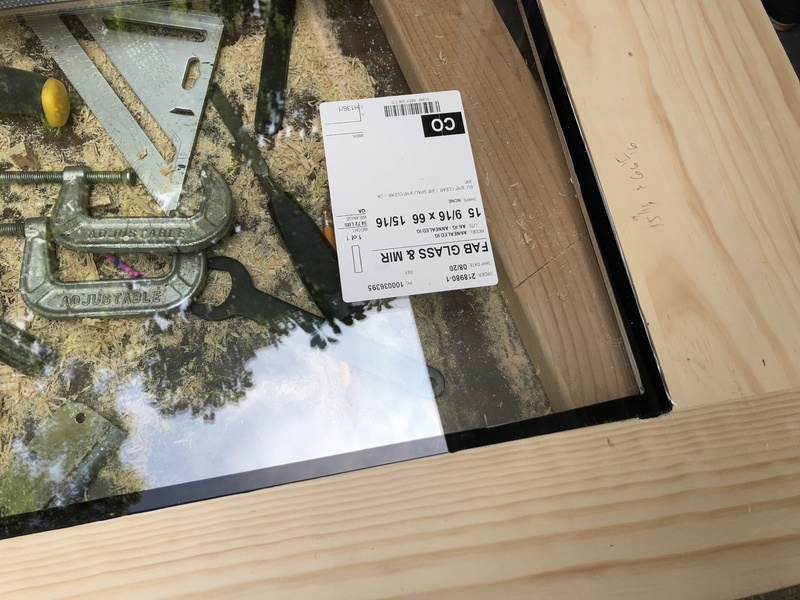 Amazing what you can buy online today. While it is not 100% complete it is working and the old door needed to go as it was falling apart due to the moisture. 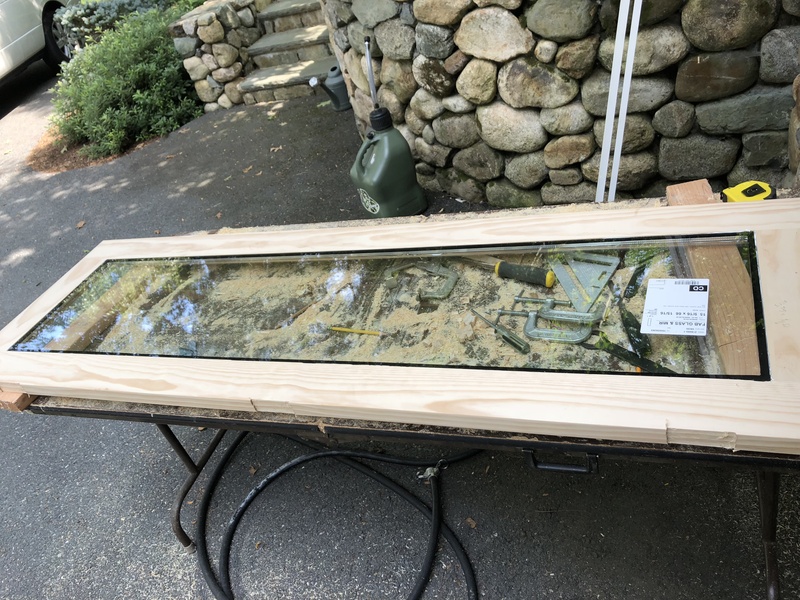 I will add some additional weather stripping to the inside and get the door painted. Get the air conditioner installed (temporarily installed right now to see if it would work). I’ve also had issues with a few kegs leaking beer out the valve stem which has lead to some ugly clean up.